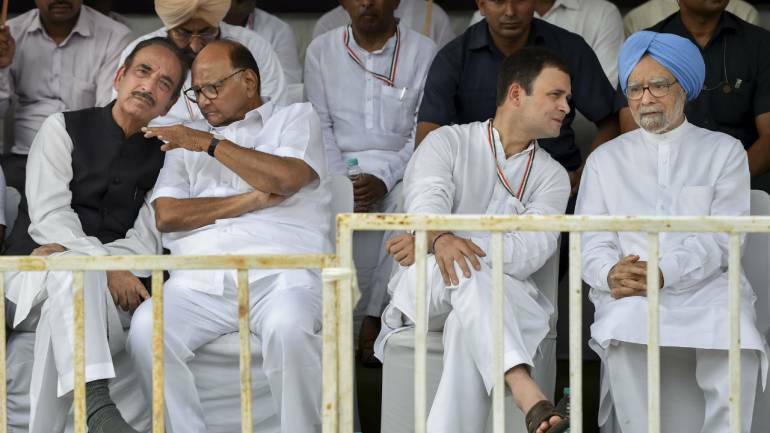 Opposition Congress and NCP in Maharashtra on Wednesday held a meeting to finalise the contours of the proposed grand alliance against the ruling BJP, and decided to expedite its process. "If Ambedkar is flexible, Congress is ready to accommodate him. Congress is positive about the issues he has raised other than the demand for number of seats," Thakre said. "We need to see which constituencies will be given to the smaller parties. The formula will be balanced," he said. NCP leader Ajit Pawar said the two parties will meet again tomorrow. "We are ready to give four seats to Ambedkar and one seat to CPM," he said. The former deputy chief minister of Maharashtra also said there was no discussion on the Ahmednagar Lok Sabha seat, which the Congress is staking claim to."